I really like the smell of coconut, but I really hate the taste of it.....*licks lip*...... it doesn&apos;t taste like coconut. Over the bed head hair, I just wore a hat, too lazy to actually do something. Right when I started walking, I felt a little dizzy, but that might be because I didn&apos;t take my medication. 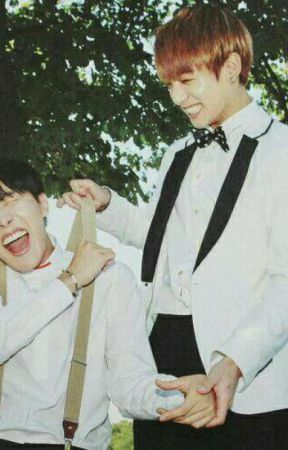 Jungkook grabbed me before I could even say coconut (hoseok: why are you so obsessed with coconuts today?). Because I was acting as a host I asked to Hoseok, "Are you already flushed because you&apos;re with me?"... he actually was flushed tho. He was about to respond, but he just closed his eyes, and he was hot. Not as in hot, but as in hot....what? I was going to ask the girls is they could leave but they already fainted of nosebleeds from Hoseok &apos;sleeping&apos; on my lap. Feeling his forehead, my eyebrow furrowed with concern. *gasp* what if we&apos;re in an anime, but we don&apos;t know. Am I the main character? Can people hear my thoughts????? Turning around, no one seemed out of place. I might have just been imagining it. 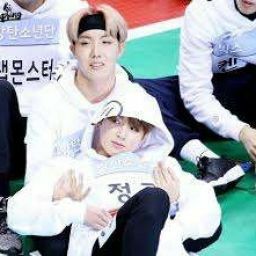 I knew Hoseok most likely belonged to Jungkook, but I can change his heart. I know I can. I will do anything to get them separated. Even watching Hoseok sleeping was interesting, but watching Jungkook playing with his hair was just torture. Please stop, don&apos;t start any problems. None of then deserve it. Jungkook doesn&apos;t deserve Hoseok, and Hoseok shouldn&apos;t be paying attention to Jungkook. After hosting hours, Tae was attacking Hoseok by grabbing his leg, and a girl came up to me. I knew what was going to happen, and I already knew my answer. "Ummm, c- can I talk to you?" The girl was really flustered and started to act all shy. "Sorry, I can&apos;t date anybody". Then something switched in this girl. "Why? Is it because of that stupid new boy? He&apos;s just a mistake!" " So was your dad&apos;s condom," Bam!!! Great comeback Jungkook. I&apos;m so savage, so much swag-, wait.....Yoongi. He didn&apos;t know a certain brown haired boy was listening to the conversation, and he didn&apos;t know that this boy finally felt like he was a part of something. Hoseok was trying to hide a smile when he heard the conversation, but if he laughed, his cover would be blown. He was walking, a little distracted, until he bumped into someone, causing a lot of books to fall (everything). Sorry, I&apos;m trying to write, but I feel like I&apos;m really boring you guys.